Nothing sets the holiday like a bucket of popcorn and Rohit Shetty’s masala entertainer. Known for flying cars and flinging villains in the air like confetti, he joined forces with Ranveer Singh and Sara Ali Khan for a typical action comedy-drama Simmba. Packed with solid punchlines, a powerful message with romance sprinkled just in the right measure, the Karan Johar production roared the loudest at the box office! Whistles, claps, laughter, and tears ensured in a bundle of a watch, only Shetty can pull off such a coup. As we eagerly await for Friday to end and pack our bags for a cozy weekend break, we recommend you to stow in Simmba jukebox. Inclusive of everything from a peppy dance number to a soothing romantic melody, Simmba playlist has got you covered. Take Aankh Marey for instance. Revisiting Arshad Warsi’s dance track from 1996 Tere Mere Sapne, the new rendition features Ranveer and Sara shaking a leg. A special appearance from the team of Golmaal – Arshad, Kunal Kemmu, Shreyas Talpade and Tusshar Kapoor makes it the perfect party anthem of the year! Music maestro Nusrat Fateh Ali Khan’s immortal number Tere Bin Nahi Lagda Dil has been recreated by Tanishk Bagchi in his ticket to fame outing Simmba. Crooned by Rahat Fateh Ali Khan with contributions from Tanishk and Asees Kaur, the song brings versatility to Simmba jukebox, in a departure from other high-voltage tunes. Get grooving with your ‘Ganpati Dance’ moves because ‘Aala Re Aala Simmba Aala.’ A typical tapori number, this cool song featuring Ranveer, is an introduction to his character Sangram Bhalerao aka Simmba. A full-on masti track, the Dev Negi number is a must-have for parties and outings to kick-in the celebratory mood! Lijo George and DJ Chetas join hands for this out and out foot-tapping number, Mera Wala Dance. A guaranteed chartbuster, this high-spirited gets adrenaline pumping instantly. We bet you won’t be able to do the ‘Naagin’ dance on this one! Nakash Aziz and Neha Kakkar will compel you to dance to your heart’s content! Arijit Singh is best known for his romantic and soul-stirring songs. But Bandeya Rey Bandeya is set far from the love zone and focuses more on self-realization. The number is best suited when you want some ‘me’ time, couple it with your favourite cuppa! Which of these is your favourite song from the film? 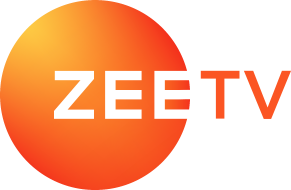 You can now watch blockbuster Bollywood films on ZEE5, anytime, anywhere. Why miss entertainment on-the-go?